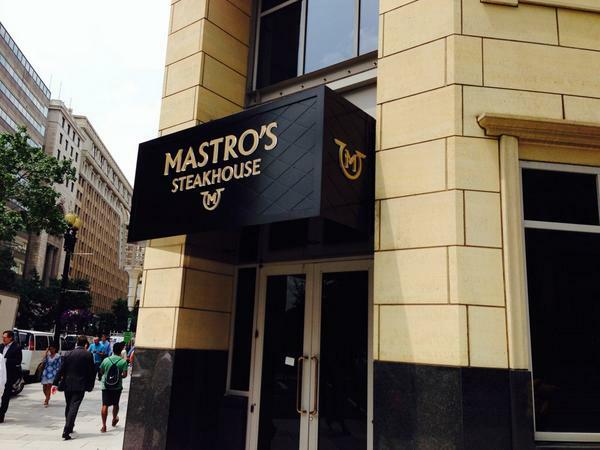 Steakhouse explosion of ’14 continues today with Mastro’s Steakhouse. Back in March we learned that Mastro’s Steakhouse would be taking over the former M&S Grill space which closed in June 2013. You can see their Chicago menu here. Ed. Note: Yesterday we learned that Claudia’s Steakhouse was coming to the former American Express space at 15th and K St, NW.